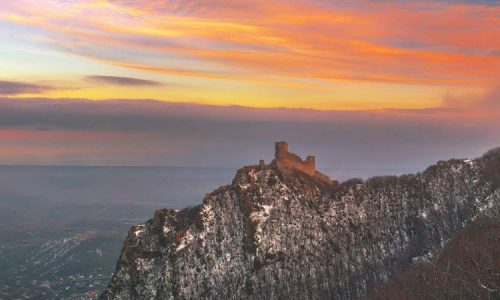 Country of our ancestors acted as the golden gate between the mysterious far China and rich European countries needing luxury. 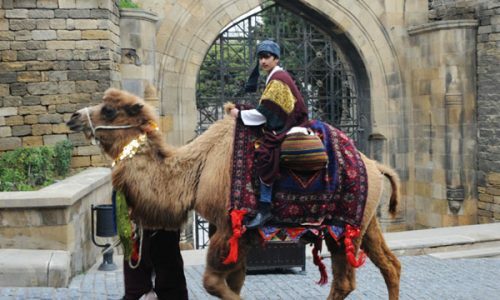 It is no coincidence that such kind of attention was paid to the main “team leader” on the route of the ancient Silk Way. The main transport corridors in those early years depended not only on the availability of food and water in stopping points for caravans. Caravan highway ran usually through the countries in which travelers and merchants found a high level of civilization and culture, the absence of war and civil strife, the desire of local people to trade contacts. Together, these qualities are inherent in Azerbaijan. And its hard-working talented artisans could offer foreign merchants a lot of useful products. Fine jewelry, brass and stringed musical instruments, precious weapon, gorgeous, very valuable carpets and, of course, local varieties of silk fabrics sparkling like a rainbow. A natural resources? Merchants exported to Europe, oil, precious stones, salt, mercury, alum, wool, linen, cotton, mineral pigments, pharmaceutical drugs, and more. Copper items such as dishes, trays, candlesticks, astronomical instruments were famous all over the world. Azerbaijan is located in the south-eastern part of the Transcaucasian region, western Asia. It borders to the north – with Russia, in the north-west – with Georgia in the south – with Iran, in the west – with Armenia, in the extreme south-west – with Turkey. In the east it is washed by the Caspian Sea. Its area is 86 600 sq. m. km. In addition to the mainland it composes of numerous small islands of the Caspian Sea (Baku and Absheron archipelago). In Azerbaijan, you can see all kinds of terrain: the mountains and lowlands and plains, and valleys. Approximately half of the territory of Azerbaijan occupied by mountains in the north – the Greater Caucasus mountain range to the south-west – the backbone of the Lesser Caucasus. The highest point in the country is Bazarduzu mountain or Dividing Range (4466 m). In the central part of the country is the Kura-Araz lowland, in the south-east – Lankaran lowland. Nature of the country is very rich. Even unique forests are preserved in its territory – a monument of the Cenozoic era. They are not found anywhere else in the world. It is not surprising that the government is creating and maintains many of its protected areas. Such reservations as Gizilagach, Zagatala and Shirvan have international significance. 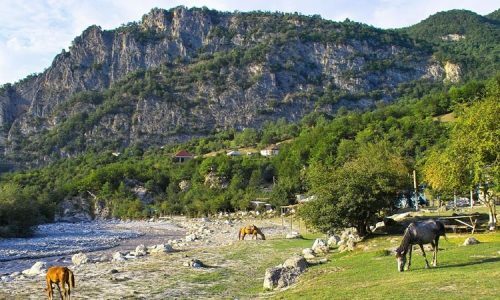 Girkan national park preserves relict vegetation in the Talysh Mountains and the Lankaran Lowland. The main purpose of creation of Turyanchay reservation is conservation and restoration of arid landscapes of forests Bozdag. 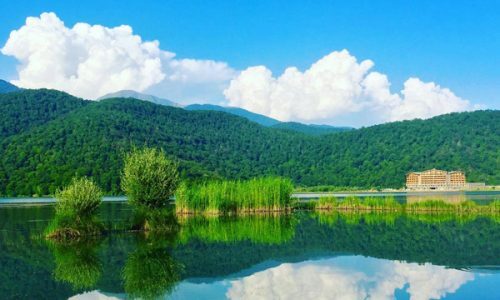 Natural complexes on the southern slope of the Greater Caucasus protects Ismayilli reservation, and one of the most beautiful lakes in the world – GoyGol, and surrounding natural complexes of the Minor Caucasus protect Goygol Reservation. Not less interesting Aggol, Basitchay, Karayaz, Pirguli reservations. Only in Azerbaijan, there are 13 nature reservations and 18 wildlife sanctuaries. 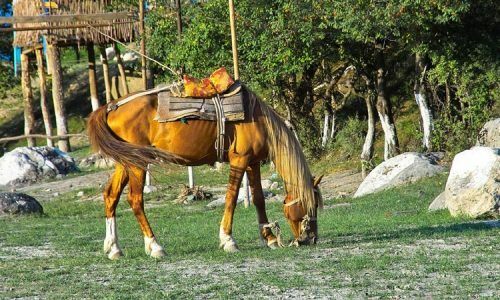 Fauna of Azerbaijan is very diverse and has about 12 thousand species. The forests are inhabited by bears, wolves, deer, lynx, wild boars. In arid areas and plains there are a number of lizards, poisonous snakes and other reptiles, as well as hares, wolves and foxes. In the valleys of the Kura and Araz you can see wild boar, roe deer, badgers, jackals. From big animals are gazelles. You can also meet Dagestan goat, chamois. In the shallow bays of the Caspian Sea the world of birds is plentiful – pheasants, partridges, grouse. Many of the birds fly in the winter – ducks, geese, swans, herons, pelicans, flamingos, cormorants, etc. It is allowed fishing of 30 species in the fresh waters of the republic and in the Caspian Sea. Many of them are fished in the Kura and some reservoirs. The most valuable species of fish are salmon, sturgeon, beluga, asp, shammai and lamprey. The territory of the Republic of Azerbaijan has rich flora. There are more than 4,500 varieties of plants, including 200 endemic species, some of which are rare and endangered. 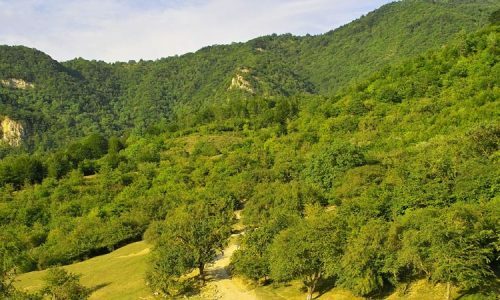 In Azerbaijan, there are deciduous forests, mixed forests, riparian forests, planting evergreens, subalpine forests, alpine meadows (in the mountains). There are nine climatic types in the country from dry and humid subtropical to mountain tundra (alpine). Average annual temperatures range from +15 ° C in the lowlands to 0 ° C in the mountains. Average July temperature – from +26 ° C in the plains (maximum +32-35 ° C, but sometimes reaches up to +40 ° C) to +5 ° C in the highlands, and the average January accordingly is from +3 ° C to -10 ° C .
All rivers of Azerbaijan flow into the Caspian Sea. In Azerbaijan there are about 1250 small rivers. Most of the rivers belong to the basin of the Kura River – the largest river in the Caucasus (the length of 1515 km, the area – 188,000 sq km). Some of them run straight into the Kura, others to its major tributary Araz – the second largest river of Azerbaijan (length 1,072 km), and others directly into the Caspian Sea. Mingachevir Power Station and Mingechevir Reservoir (605 sq. km.) have been constructed on the Kura River. There are 250 lakes in the republic, most of which are small. The largest one is Hajigabul (area 15.5 sq. km.). A little smaller – Boyukshor (10 sq m). There is a group of picturesque lakes in the north-eastern slope of the Murovdag ridge, among which one of the most beautiful lakes in the Caucasus – Goygol.